Need cold drinks and snacks available on-site for your employees or customers? 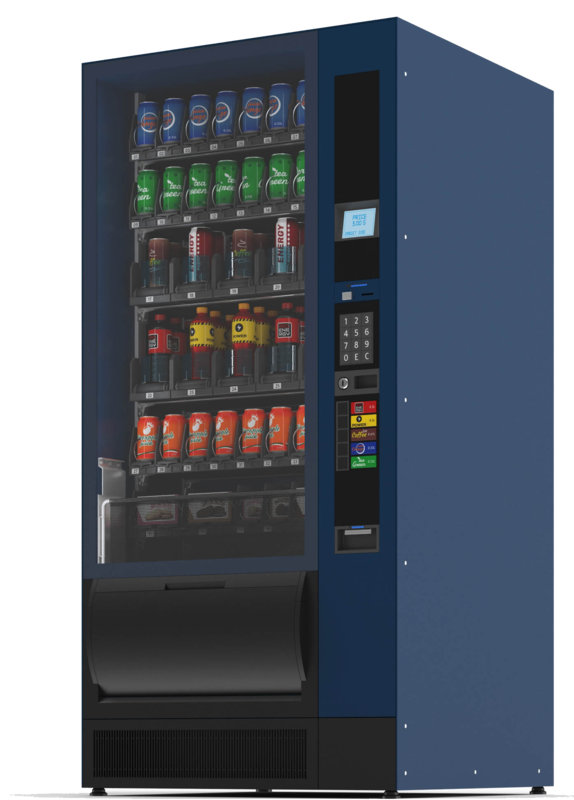 Kline’s can help with vending machines for your workplace – free of charge! We’ll stock your machines with drinks of your choice: Pepsi, Coke and a variety of other name-brand drinks are all available to choose from to satisfy your needs. Juices, bottled water, energy drinks and sports drinks are all available as well. Hungry? Our snacks include all name-brand items, with a number of healthy choices to choose from. Varieties of nuts, seeds, trail mixes, baked chips and protein bars are just some of those healthy favorites. Of course, who doesn’t need an occasional chocolate treat or helping of potato chips? Whatever you’re craving, our vending machine selections are there on site when you’re ready. As with our water service, no contracts required!